Colour Forms Collection- July 18 Nordstrom Exclusive!! Yes, I know July 18 was ahile back, but I want to post up swatches of the pigments that I bought from that collection. This was a Nordstrom Exclusive, so I woke up bright and early to get them, since my Nordstrom only had like 6 of each color, and plus that day, they were having their annual sale. 4 of the 6 pigments were new colors, the other 2 were repromotes. I only bought the new colors since I already had the 2 repromotes which were Jardin Aires and Steel Blue. The colors that I got were Tea Time Royal Flush Circa Plum Gilded Green To me, Gilded Green and Royal Flush could be dupable with other Mac pigments. Say Royal Flush can be compared to Accent Red or Ruby Red. Gilded Green is almost the same as Golden Olive or Golder's Green. All together though, I love the colors and about time MAC made some more colors that weren't repromotes from other collections or the permanent line. So be sure to check them out, since they are only available at Nordstrom and will be gone very soon!! 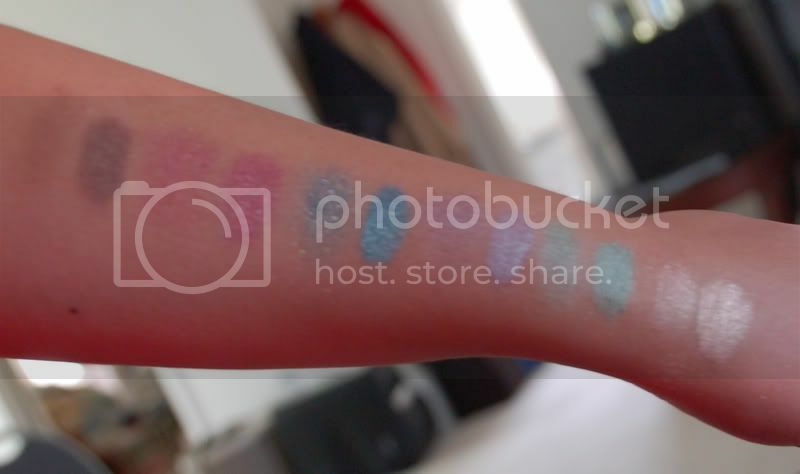 Here are the swatches: (L applied dry, R applied with UDPP) Tea Time, Royal Flush, Steel Blue, Circa Plum, Gilded Green, Jardin Aires Flash: W/O Flash: I love the colors and how they are super bright with the UDPP. 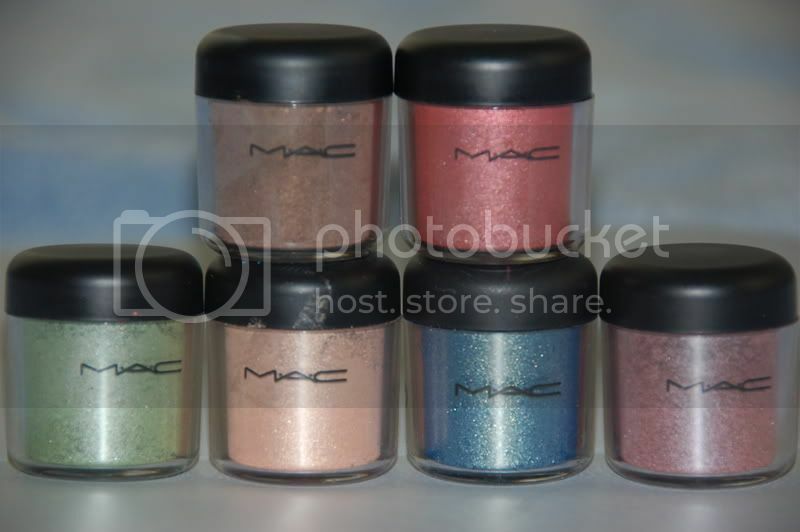 I have yet to try them with MAC PaintPots, so we will see how bright they are with them. thnx for the comment hun. i was actually thinking of doing swatches for the 88 palette. ill let you know as soon as i get it posted.